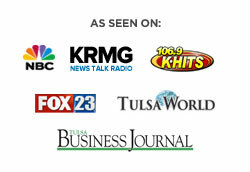 It is time to find your perfect job and land a career with the Tulsa medical staffing. You’ve worked so hard to get this far within the medical industry, and now it is time to land a career that fits you and find a position that you are passionate about. You deserve to be paired with a company who strives to help you reach your goals as well as a company in which you will feel confident in helping them reach theirs. When it comes to finding a career within the Tulsa medical staffing industry we understand how challenging it can be to weed out top talent employees from those who just want the next paycheck. This is why we strategically recruits talented employees who perfectly meet the needs of your company or the position you are wishing to fulfill. We continue to strive to help connect your growing company with only the best talent. We know only want to help employees find their perfect or, up we also want to help you as an employer find that top talent to help grow your business and boost confidence within your team. The Trinity employment specialists are also teamed up with the Oklahoma Baptist church working together to feed” children and young adults. They also provide housing and life skills for those young people. We truly believe that the children are our future providing them with the life skills and necessary tools it takes to help them achieve their goals and reach the potential that they deserve, can make all the difference within the community. We have teamed up to create a giveback program and for every job placed the Trinity will donate to the Oklahoma Baptist children’s home. We believe in staffing and employee in supporting a child at the same time. Within the Tulsa medical staffing we understand that helping others within the community can make us that much stronger as a whole and provide jobs and quality careers that everyone strives to have. We want to ensure that everyone we work with whether it may be finding the perfect career or helping those higher this best talent can be satisfied with the results after working with us. Our specialists are connecting people and changing lives little by little and helping build a strong community within the workforce industry. From medical, finance, to industrial jobs the Trinity appointment specialists know exactly how to help you and provide the necessary tools it takes to hire the most top talent and find you a great job. You can receive sample resumes, cover letters, and even think you letters over at our website@https://trinityemployment.com today. You can also learn about the successful testimonies from other employers searching for a third perfect talent to help fulfill the jobs and employees who have now been able to land their dream jobs. We provide informational podcasts as well as reviews from honest feedback of experiences that have changed the lives of many and can even change orders. Call us today at 918.622.2588 for questions you may have about Trinity employment specialists.